I have always been a HUGE fan of Valentino. When Princess Bea wore a Valentino dress (who can forget that hat?) to the Royal Wedding of William and Kate, I was left breathless. 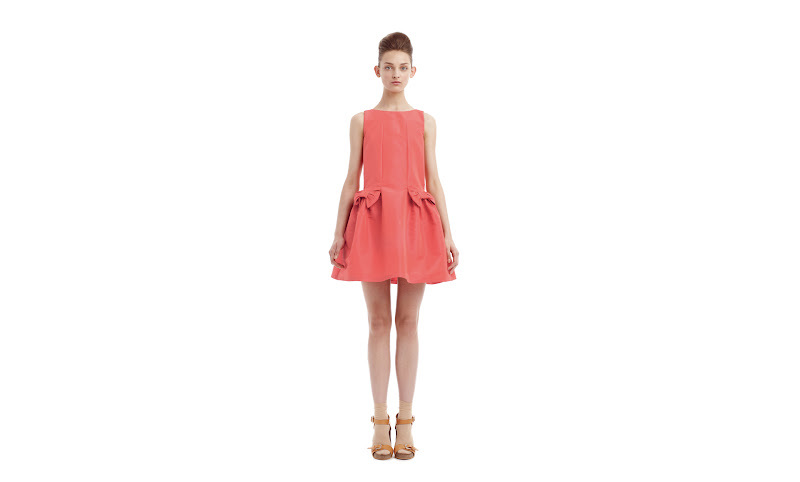 I discovered Red Valentino a little while back, while window shopping online on The Outnet. I found it to be a cheaper alternative to Valentino, if you can call it cheap. It's still quite expensive to the average person, but with a bit of saving, realistic, nonetheless. Durance en Provence is a boutique which stocks their namesake beauty range, as well as a plethora of high end designers from around the world, including Red Valentino. Located at High Street in Armadale, this should be one of the boutiques on your "must see" list!! They are gorgeous dresses! Glad you enjoyed this blog post. Me too Mica! It's my favourite piece. I always change out of my outfits when I'm around the house to keep them looking good. This post inspires me so much. Would love you to follow me. You can't get much better than Valentino! The epitome of feminine elegance. I know Alex! Valentino is amazing! Hey Suzi! I can't find an email address for you, could you tweet/FB/email me when you get a chance? TA! Hi LM! I have sent you a FB message with my email details. The colour is so fresh and feminine. Perfect for Spring! Thanks! Well done for being selected as one of LC's fav bloggers. I'll place a vote for you sweetheart. I love Valentino's dress too, so chic and romantic!Che ne dici di seguirci anche su facebook, twitter, bloglovin e google+? Same here Sevan! It's my favourite piece.